As always, we do our best to ensure a pleasant, pub-like atmosphere for all sessions. During the festival, new casks are tapped every day, with special British beers reserved for Saturday. Also, admission will be strictly limited. While advance admissions sell out quickly, walk-up Cash Sales admissions remain available at the door for every session. As in past years, Redbones sandwiches will be available for purchase in the hall. CASC thanks you all for making NERAX so popular. The sales of the limited number of advanced admission tickets is now closed. However there will be a Large Number of admission tickets available at the door for every session. Unfortunately there are times when we have more customers than we have capacity in the hall. At our busiest times individuals who fail to gain entry by 6:30 p.m. may face a wait of 90 minutes. On the other hand we rarely if ever have lines after 8:30 p.m. 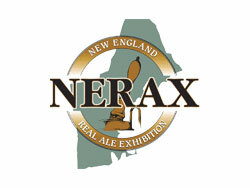 The first official event of the NERAX 2010 Festival week will be a classic pub crawl for festival volunteers and friends of the festival. The Crawl will visit four premier Cambridge/Somerville pubs known for outstanding beer selections. This is a pay as you go event, but each pub is going above and beyond the usual in some way for The Crawl. Total walking time, start to finish is only 25 minutes! Bring your buddies and join us for the whole crawl or any part of it. 1:30 The Independent, 75 Union Square, Somerville: The Indo, with 32 draft beers, is poised to offer real ale later this Spring. They’re bringing in a cask to tap specifically for the NERAX 2010 Pub Crawl. 2:45 Atwood’s Tavern, 877 Cambridge Street, Cambridge: Atwood’s offers 24 draft beers, and will be setting up a pin of a Pretty Things cask ale on the bar especially for the NERAX 2010 Pub Crawl. 5:15 Cambridge Brewing Company, One Kendall Square Cambridge: CBC’s house beers have won national and international awards, and a cask is tapped every Tuesday. CBC will be rolling out at least one cask ale to tap expressly for the NERAX 2010 Pub Crawl. be free appetizers for all.